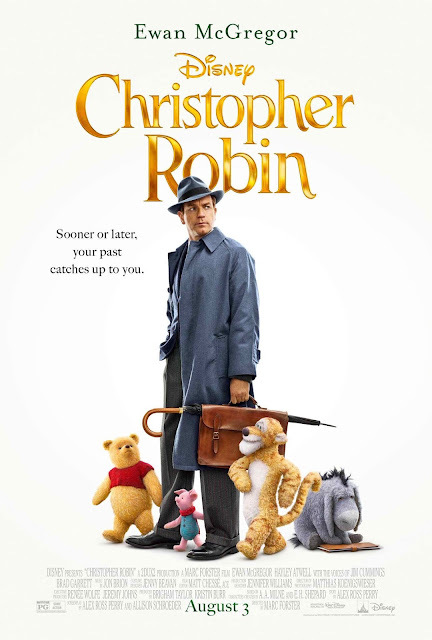 Disney’s “Christopher Robin” is directed by Marc Forster on a story based on characters created by A.A. Milne. The film stars Ewan McGregor as Christopher Robin; Hayley Atwell as his wife Evelyn; Bronte Carmichael as his daughter Madeline; and Mark Gatiss as Keith Winslow, Robin’s boss. The film also features the voices of Jim Cummings as Winnie-the-Pooh; Chris O’Dowd as Tigger; Brad Garrett as Eeyore; Toby Jones as Owl; Nick Mohammed as Piglet; Peter Capaldi as Rabbit; and Sophie Okonedo as Kanga.